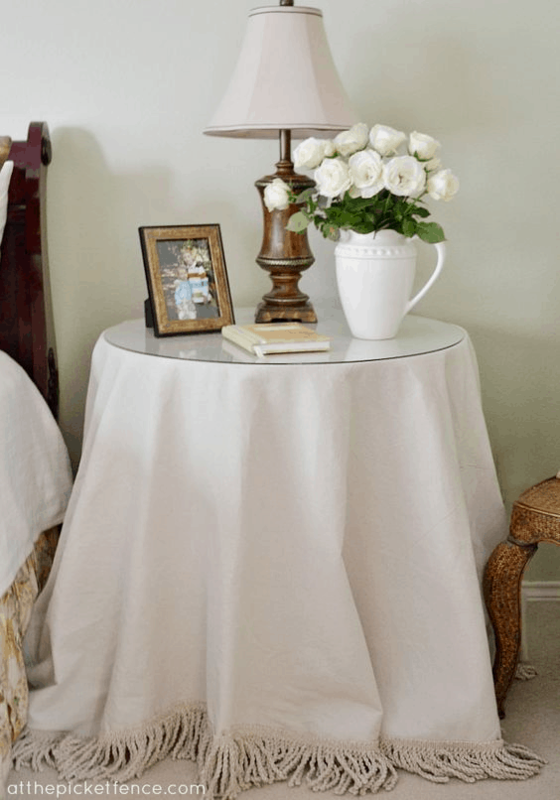 Canvas Drop Cloth! What an incredible invention! It’s found in the painting section of your local hardware store (like Lowes and Home Depot) and it’s to put down on the floor so you don’t get paint on everything. 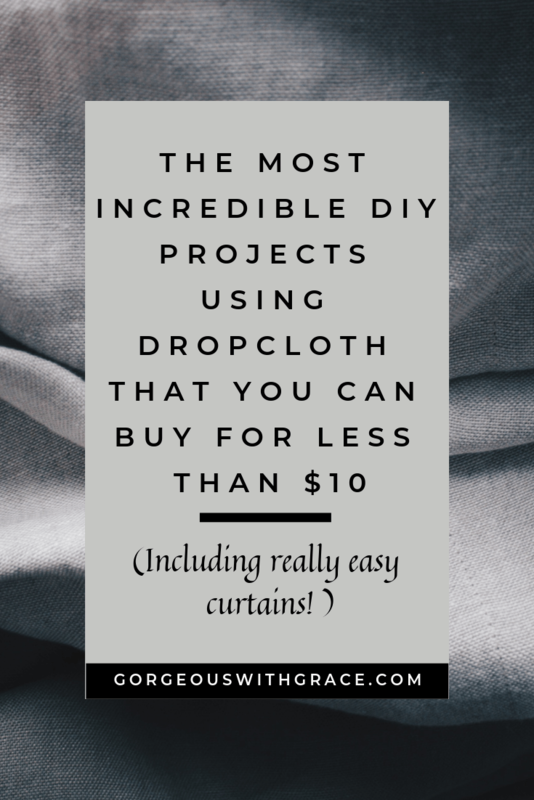 Today we are going to discover 10 brilliant projects to use drop cloth in your home. It’s so versatile and can be used for so many projects but the very best thing about it is that it is so so cheap!! So much cheaper than going to buy fabric. So head over to your local hardware store and pick up some, they come in various sizes. 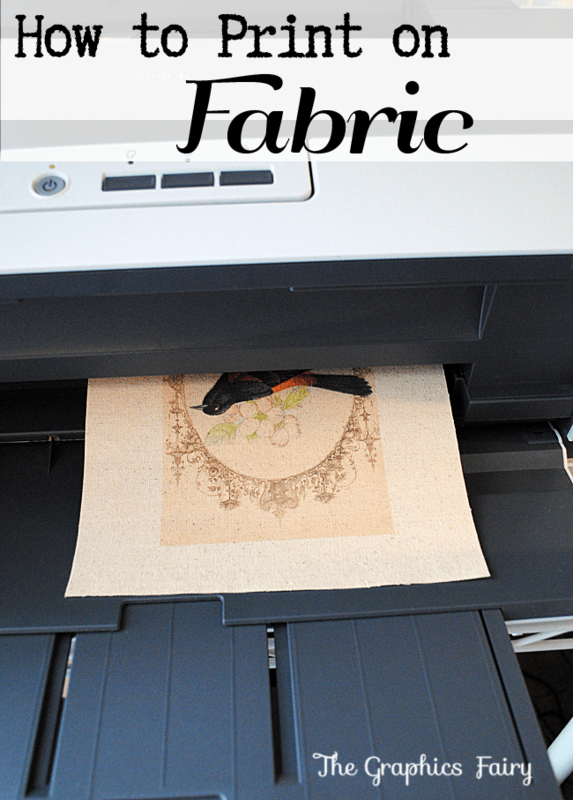 I’ve rounded up the most amazing Drop Cloth projects for you to make today, easy and cheaply. The post was originally going to be about Fall pillows and I got so distracted with these incredible projects that I really had to share them with you. 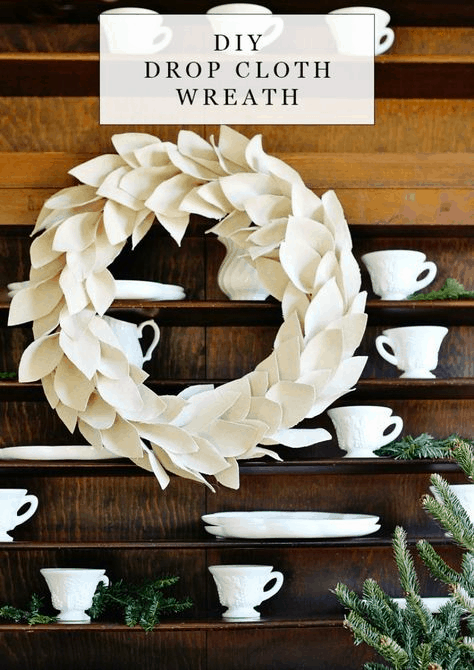 This wreath is just so pretty. It only requires three things to make (one of which is scissors). Super, super easy and just amazingly stunning. 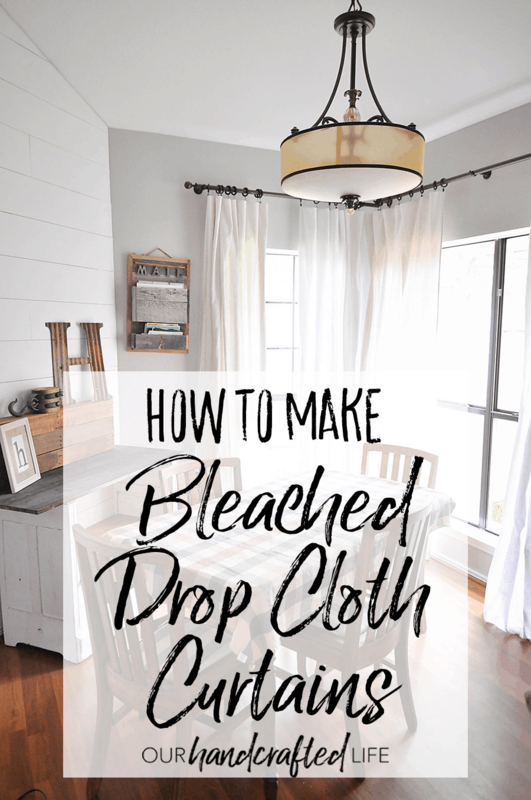 These Drop Cloth curtains look so fresh and linen-like! What a bonus! 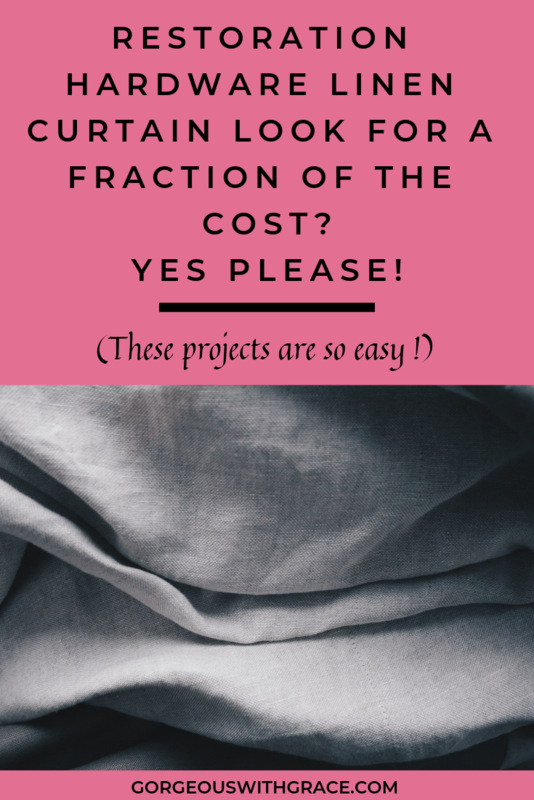 You could get curtains for two large-ish rooms for less than $100! Kids absolutely love having a little place to crawl in to and read books and play. I think it makes them feel warm and cozy. Have you ever known a child dislike a tent or teepee? 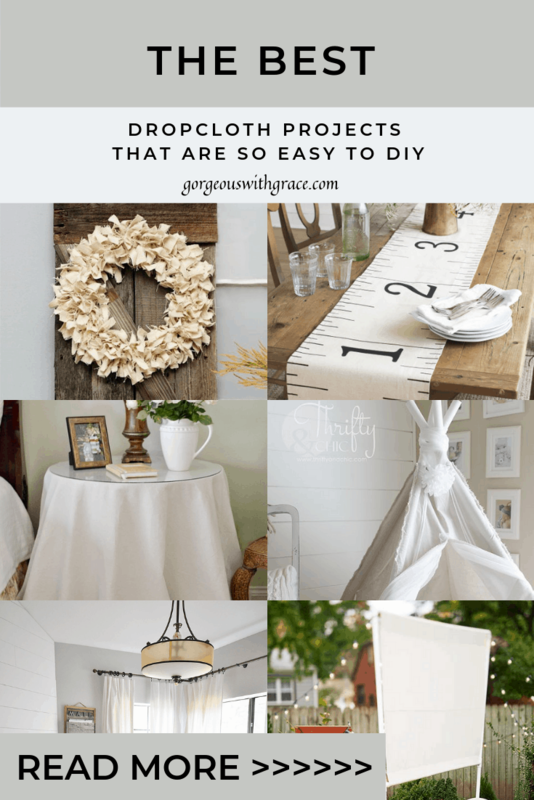 This super clever tutorial is really easy to do and the color is gloriously neutral for all bedrooms. 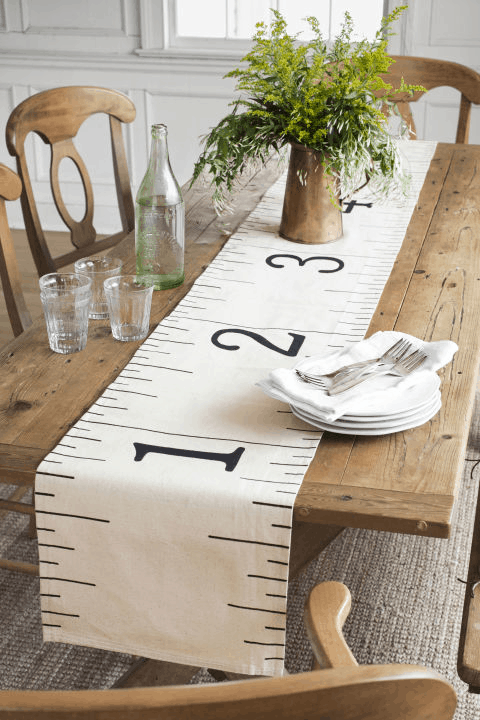 This is such a cute runner for the beginning of school. 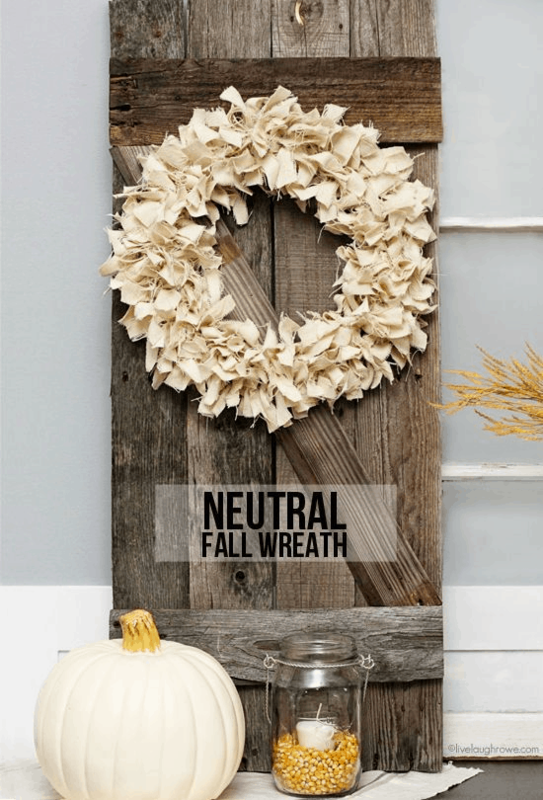 And it also would be perfect for a Fall table. OK, this project is a little bit more complicated but I feel like I could do it (I would say my sewing skills are average at best). This is a perfect project if you want some more seating but don’t want to clutter up your floor space with chairs. You could literally cover anything up with this project, find something in the garage, at a Thrift Store, on the curb and make this beautiful cover up. Now that the weather is cooling a little (Texas heat anyone!) 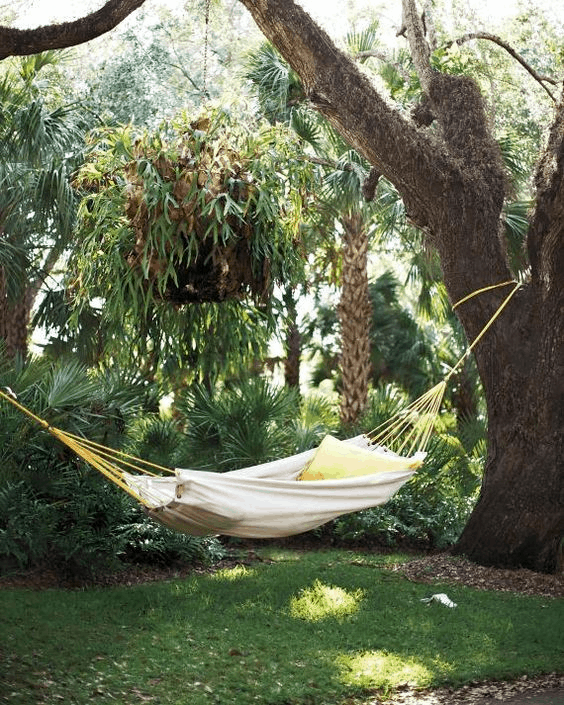 this would be so divine to curl up with a book enjoying being outdoors. I simply can’t wait to have an outdoor movie theater night. 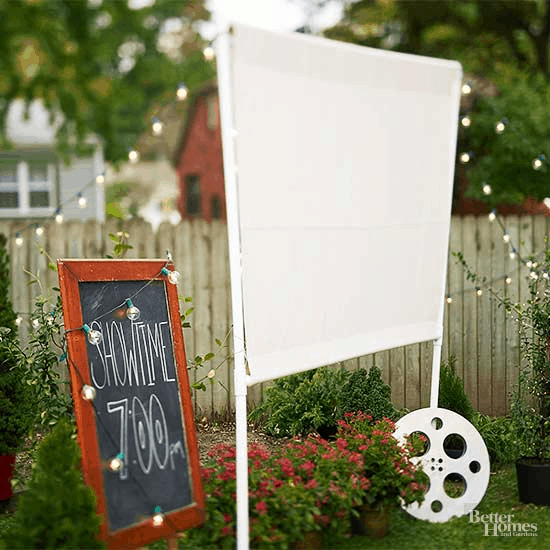 Look at this really easy and simple project to make a screen, no need to rent those expensive ones. I love this! I can’t wait to try this, the instructions are very clear. Please let me know if you try this and what you made. I think it would be such a good idea to print a beautiful quote and frame it. I hope you found something that you would love to make.